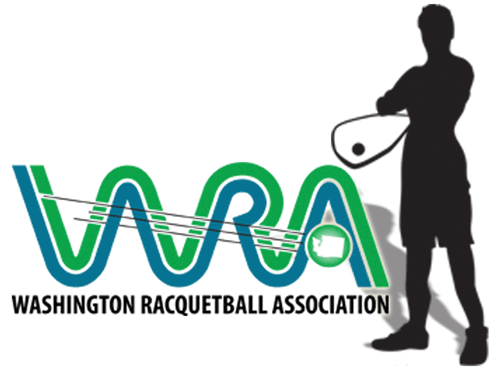 Washington State Doubles saw some great action on the courts at the Washington Athletic Club January 21-23. Forty nine teams played through the weekend to be able to claim the title of State Doubles Champs for the 2010-2011 season. Each participant received a long sleeved t shirt to commemorate the event. With lunches served at the WAC, and dinners at the Rock Bottom Brewery, a good time was had by all. Thanks go to the sponsors who made the event possible, including Awards by Wilson, The Washington Athletic Club, ImagineDS, Hilton Hotels, Lithtex NW, MAX Technologies and our State Ball Sponsor Ektelon. There were some tough matches in divisions, including Men’s A, where Chris McRae and Doug Russell played through some tight tiebreakers, to win the championship in a close match against Nilo Dela Cruz and Wayne Birkland. In the lone Women’s event of Open/Elites, Jessica Munoz teamed up with Vickie Panzeri to take first place in a tie breaker match against Wanda Collins and teammate Yuni Cobb. For complete results, go to R2 Sports. The tournament was a great warm up for players headed to National Doubles February 9-13.